Alfred Schnittke is often referred to as one of the most significant Russian composers since Shostakovich. It was therefore a shock to the established Russian composer community in the early 1970s when Schnittke – a deeply respected composer and faithful supporter of the radical avant-garde community – unexpectedly rejected the entire community. Schnittke began writing in a musical tone language, which he later called "poly-stylistic compositional technique", where a variety of styles and techniques from different musical expressions are used. One of Schnittke's main works in the "new" style is his Choral concert (1984/1985) based on texts by the Armenian monk Grigor Narekatsi (951–1003). The work harks back to Russian Orthodox choral singing, polytonality and Gesualdo-inspired modulations. Oslo Cathedral Choir, together with Bergen Cathedral Choir, under the direction of Vivianne Sydnes and Kjetil Almenning respectively, perform two of the four movements from this monumental work, as well as Schnittke's Three Sacred Hymns (1984). Two other composers, who also pursued different musical directions at about the same time as Schnittke, were the English composer John Tavener (1944–2013) and Arvo Pärt (born 1935). With both composers, the transition was motivated by a deep religious belief that was reflected in a far "simpler" tone language. With Pärt this was expressed through the tintinnabuli technique. The concert features Prayer to the Holy Trinity by Tavener and Dopo la Vittoria by Pärt. The concert concludes with the brilliant Te Deum for choirs and organ by Scottish composer James MacMillan, who wrote it to commemorate the 50th anniversary of Queen Elizabeth in 2002. The work represents in many ways the essence of MacMillan's music: the calm and contemplative phrases, embroidered contrapuntal lines, and elements of late Middle Ages and Scottish traditional music. At the concert, Bergen Cathedral cantor Sigurd Melvær Øgaard performs Triptychon by the Czech composer Petr Eben (1929–2007). Bergen Cathedral Choir was established in the autumn of 2009 and is considered to be one of Norway's leading chamber choirs. 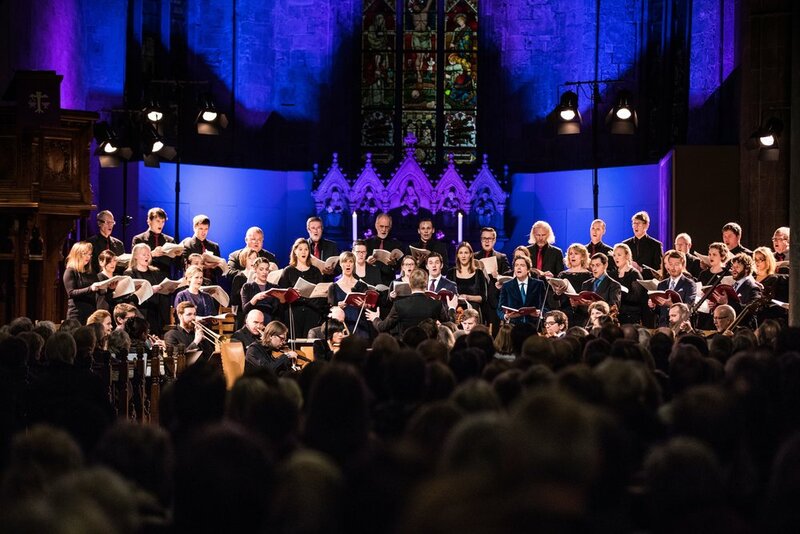 The choir holds concerts regularly throughout the year, mostly in Bergen, but also on tours in Bjørgvin diocese and abroad. They collaborate regularly with professional musicians and ensembles. The choir emphasises creating interesting programmes and presenting exciting repertoire. With a fine mix of familiar and less-known, old and new, they seek to give audiences fantastic concert experiences. Sigurd Melvær Øgaard was educated in organ performance at the Grieg Academy in Bergen and holds master's and doctorate degrees in choral conducting from Texas Tech University in the United States. During the period 2002–2015, Øgaard held a number of positions in the United States until he was appointed as cathedral cantor in Bergen Cathedral in September 2015. 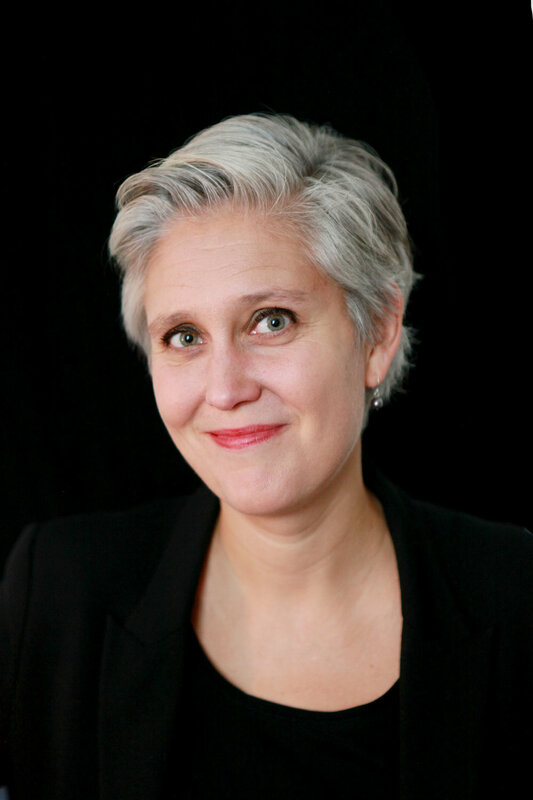 Øgaard taught organ improvisation at Texas Tech University and the University of Houston and has been conductor and accompanist for a number of choirs. He has held numerous organ concerts in Europe and the United States. Kjetil Almenning is the cathedral cantor in Bergen Cathedral. He has a Bachelor's degree in church music from the Norwegian Academy of Music and a diploma in choral conducting from the Royal College of Music in Stockholm. Almenning has been artistic director or conductor for ensembles such as Ginnungagap Vocal Ensemble, Vestoppland Chamber Choir and Ensemble 96, a chamber choir. As vocalist and conductor, Almenning has worked with ensembles such as the Norwegian Soloists' Choir, Barents International Chamber Choir, Eric Ericson's Chamber Choir and The Swedish Radio Choir, and is artistic director of the professional vocal group Vocal Art in Bodø.